The PMAC Board of Directors assembled on Thursday, 26 February 2014 to finalize last-minute arrangements for an IPMA Certification Systems Panel meeting on Friday and an IPMA Council of Delegates meeting on Saturday and Sunday at the prestigious 1 King St. West hotel in downtown Toronto. The COD and the AGM PMAC-AGPC Announces Two Firsts Council of Delegates PMAC-AGPC is pleased to announce two firsts for our organization. We are hosting the March 2014 IPMA Council of Delegates (COD) in Toronto. The event will be held at One King West Hotel. This is the first time PMAC-AGPC has hosted an IPMA event. It is also the first time IPMA have held the COD outside of Europe. A brochure of the event can be found here: Brochure The Council of Delegates is the steering committee of IPMA and the highest decision making body. Each member association nominates one Council representative (and one substitute), who attend the Council meetings twice a year. There’s Nothing To Project Management. Read more about There’s Nothing To Project Management. Stacy Goff, one of the founders of the American Society for the Advancement of Project Management, has written an excellent, highly-recommended article comparing the various project management certifications available. It takes an objective, academic look at the various IPMA certifications, the PMP and PgMP from PMI, Prince 2, and others. 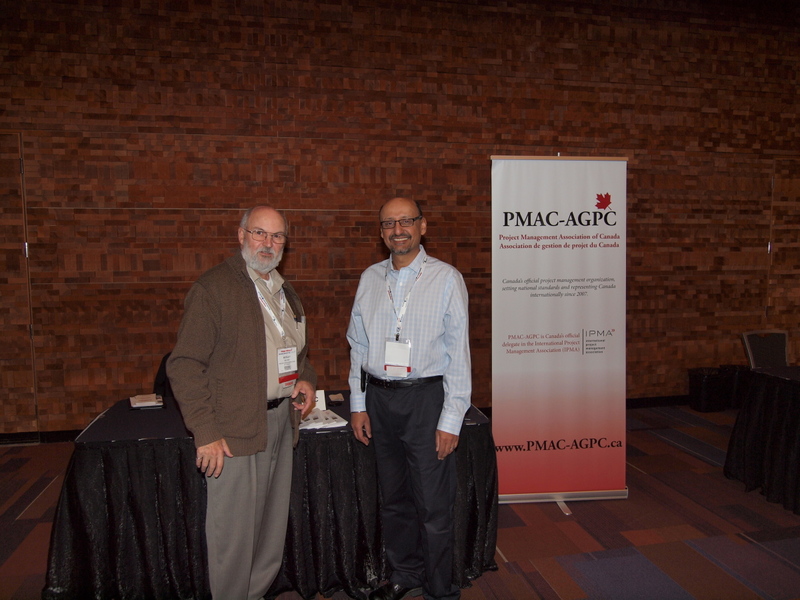 Member Jay Hundal, IPMA-B and Director of Certification Morley Selver, P.Eng, IPMA-B manned the PMAC-AGPC booth at ProjectWorld BusinessAnalyst World 2013 in Vancouver. We would like to thank all the members and attendees who stopped by to say hello. Here are a couple of snaps from the event. 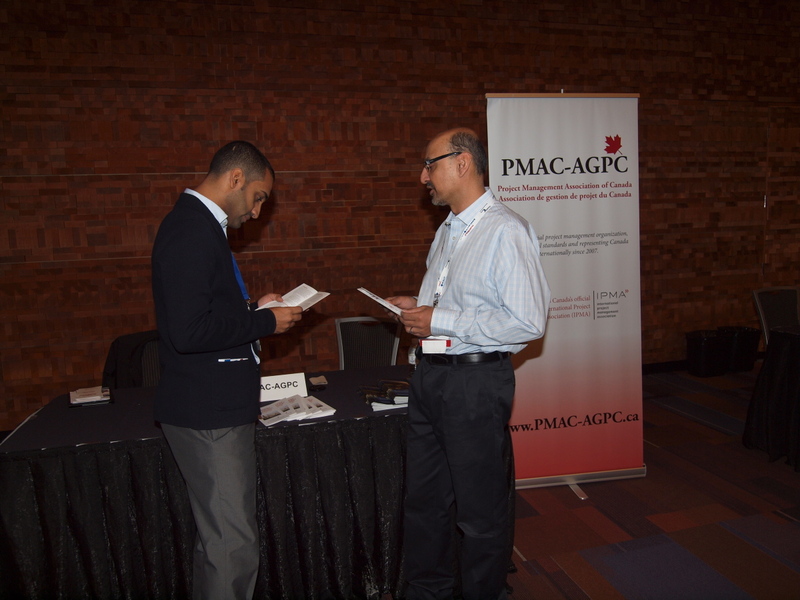 Here is Jay Hundal talking to an interested attendee. Morley Selver and Jay Hundal. Morley Selver, the PMAC Director of Certification, would like to congratulate Nicholas Pozhke on attaining the Certified Project Management Associate credential. He will be registered with the IPMA as attaining IPMA Level-D certification. Due to an issue caused with the upgrade of some server software, some of the functionality of this web site was unavailable over the past few weeks. Thank you for reporting the problem to us -- this one has been difficult to track down, but we finally fixed it. All web site functionality should now be full functional again, including membership renewals and certification exam registrations.